You don’t need us to tell you that cheerleading can be quite dangerous, and injuries are often part of the territory. 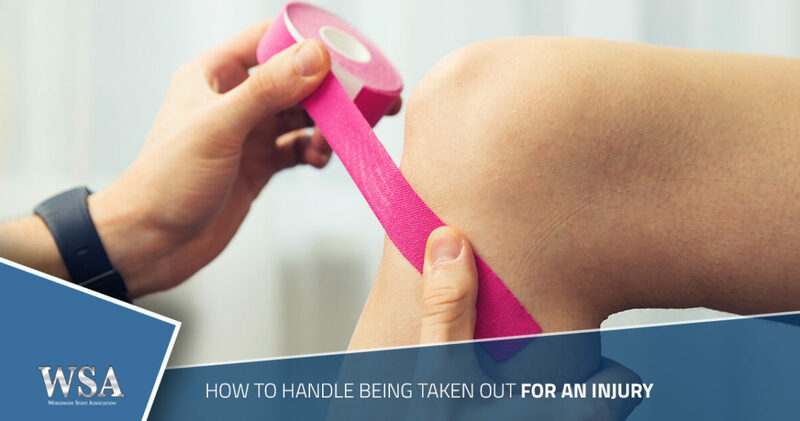 From minor sprains to ligament tears, one wrong landing can lead to an injury that demands anywhere from weeks to months of healing and rest. Even if you have been entirely safe in cheerleading practice, we see injuries all the time that happen from hoverboards or gym class at school. As many cheerleaders know, if the doctor says you’re out for two weeks, it doesn’t matter that you have a competition in just a few days — you really are out for two weeks, and you will be pulled from your routine. So, how do you handle that feeling? Regardless of whether the injury was your fault or not, it’s important to remember that everyone gets hurt sometimes. Just because the timing is inconvenient does not mean that you have ruined the chances of your team doing well at their competition. We know that injuries prevent athletes from getting on the mat all the time, and that is totally okay. They still need you to cheer them on and be a source of encouragement until you are ready to return. Prepare to go to the competition with your uniform and makeup on. After all, you are still a part of the team. You’re going to get a lot of people asking you what happened, especially if you’re in a cast or on crutches! When that happens, just smile and practice an abbreviated version of what happened. Yes, it stinks to have to sit on the sidelines and explain over and over why you aren’t cheering, but all those people simply want to make sure you are okay. Try your best to smile and think about how excited you are to get back on the mat and join your teammates. You’ll be back there in no time at all. Be reasonable about your body’s limitations! We’ve heard stories of cheerleaders spraining an ankle and skipping the doctor’s office because they were afraid they would be told they couldn’t cheer. If you feel you have suffered an injury, please go to the doctor. Your team will be okay, but the same cannot be said of your body if you don’t give it time to recuperate. As long as it’s an arm or ankle you’ve injured, you may still be able to do some light exercise to stay in shape. Situps are a great option or any chosen ab exercise can give you an extra workout. Of course, if you have a concussion, it is best to skip exercising altogether. Rest truly is the best cure for cheerleading injuries. You’ll be back on the mat in no time at all! At WSA Cheer, we believe in treating our bodies with care so we can be our best selves on the competition floor. Take some downtime and stay confident. You will bounce back and be able to compete with your friends soon. We’ll see you at our upcoming competitions!